Unique Moments Photography from Gig Harbor Washington created "Sister Act" in 2013. You have to know the players and whats important in your clients Life. Anyone can show up and shoot. Telling the story is what we try to do with our photos. Telling a story when things don't go as planned is what professionals are able to do. This image is huge for all three of these ladies. The two sisters helped raise this bride since she was a little girl. Their mother Passed while they were all very young. These girls are tight and they all know what each other is thinking. They were simply a joy to be with. The wedding day had some challenges. Rain, a zipper tear that required a seamstress to come in and fix and our assistant went to the emergency room with a medical emergency. It just could not get any crazier. But the two sisters kept it all in perspective and made sure their little sister had the wedding of her dreams. 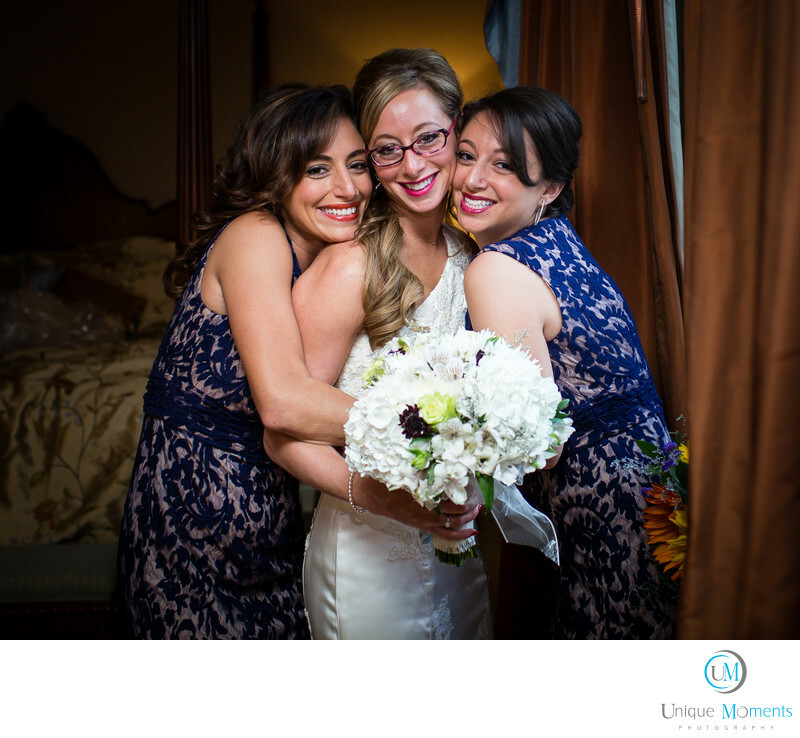 Just the story of these ladies and all the obstacles that happened at this wedding made this close sister bond a favorite of ours to capture.